Al Gore has just released a new book — The Future: Six Drivers of Global Change — and is on a media tour to promote it. But he has had to face some very uncomfortable questions involving a charge that has been around for a while: That Al Gore is a hypocrite. The hypocrisy charge has been raised against Gore over the years. Until now, the most infamous incident of apparent hypocrisy took place in 2007 when it was widely reported that Al Gore’s mansion had a utility bill about 20 times more than the average family home. (See Al Gore’s ‘Inconvenient Truth’? — A $30,000 Utility Bill). I found the news troubling; after all Gore was the Conservationist-in-Chief but he certainly didn’t appear to be walking his talk. But I also wrote that if he was running a staff out of his home, then the higher electric bills were more understandable. I also learned at the time just how rabidly partisan people can be when discussing Gore. Some on the left would not tolerate criticism of Gore, and I was vilified for saying that I was disappointed in his behavior. But, I really wanted to like Al Gore. I thought of him as someone who was making a positive impact by calling attention to a serious problem, and getting people to conserve. I defended him when people noted that Gore traveled around the world in fossil-fueled jets. After all, I argued, if he traveled halfway around the world but convinced 500 people in a foreign country to become involved and take action, then the net impact could easily be lower carbon emissions as a result of his travels. I even have an award on my desk signed by Gore. In 1996 I traveled to the National Academy of Sciences in Washington, D.C. and received the 1996 Green Chemistry Challenge Award as part of Professor Mark Holtzapple’s research team at Texas A&M. The award was presented by Carol Browner, the Administrator of the Environmental Protection Agency, and it was autographed by Vice President Al Gore. I imagined at the time that some day Gore would become president, and I would show that award with pride to visitors. I say all of this, because I want to make it clear that I didn’t set out to dislike Al Gore. But I have come to the conclusion that he is in fact one of the worst hypocrites I have ever seen. But what did Gore turn around and do? He sold his Current TV network to Al Jazeera for $500 million. Gore reportedly pocketed $100 million, and in another widely reported story he is alleged to have pushed to get the transaction completed before higher tax rates kicked in on January 1 of this year. Lauer challenged him on the fact that he had criticized the influence of fossil fuel money in television, but then got very wealthy selling his network to another network that exists because of fossil fuel money. 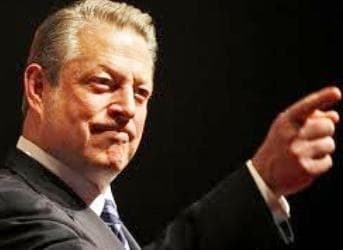 Al Jazeera had the money to pay Gore $500 million because of fossil fuels. Lauer asked Gore if he saw a contradiction in his position. While Gore said he understands the criticism, he disagrees with it because Al Jazeera is a great network and has won major awards. I can apply the same special pleading to any oil company and justify consuming their oil since they make charitable contributions and invest in renewables. Yes, Al Gore appears to be very comfortable in selling out his principles for a $100 million profit. And at least he “gets” the criticism. He disagrees that it is hypocrisy, apparently on the basis that he doesn’t like the word hypocrisy. Stewart highlighted the fact that Gore could have made a statement about his principles, but at the end of the day Gore determined that the cost-benefit analysis benefited him enough to be comfortable with taking fossil fuel money. What Gore doesn’t seem to understand is that this is the same cost-benefit analysis that results in the world’s rising use of fossil fuels. He is like many environmentalists who don’t seem to understand the real reasons we are dependent upon fossil fuels. 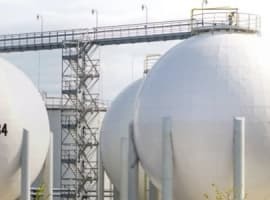 They would rather blame the fossil fuel companies and their various lobbying and subsidies than blame the real culprit — the desire of consumers to have affordable and reliable energy. Poor people across the developing world determine that their contribution to climate change is insignificant relative to the benefit they will receive from introducing heat and electricity into their homes. Every day millions of people around the world determine that the benefit of them filling up with gasoline and driving to work outweighs the cost of their fossil fuel consumption. Everyone — Mr. Gore — can argue that the cost-benefit analysis favors their usage of fossil fuels. People from all walks of life — including staunch environmentalists — use fossil fuels every day and justify it based on the cost-benefit to themselves. Even Bill McKibben once admitted that he was a hypocrite, but like you he rationalized his hypocrisy. And that, in a nutshell, is why the world is so dependent (and becoming more dependent) upon fossil fuels. People determine that the benefits of using fossil fuels outweigh the cost. You aren’t special Mr. Gore. You did what others do every day. The only difference is that you have used a bully pulpit for years to urge people to sacrifice and make different choices. Yet when faced with the same cost-benefit analysis, you proved to the world that you are the hypocrite many always believed you to be. Al Gore’s “activism” has been a money maker on a tremendous scale. He has made a mint selling indulgences — er, I mean “carbon offsets” — and in some cases even sold them to himself in order to claim that his (very high) carbon footprint was neutral. So while he’s busy taking the high road telling people what to do, he himself not only goes and profits off of that (creates network, sells it) but his profit comes from the very same people/industry he built his reputation on by vilifying and imploring people to avoid. I realize that Saint Al can do no wrong in some people’s eyes, and some will (wrongly) conclude that this is a partisan attack. It is nothing of the sort. But I will never attempt to defend Gore again. I also hope to never hear his voice again. It grates on my nerves now, because all I hear now are the ramblings of a hypocritical windbag. How do you know that Al-Jazeera only exists because of oil money? What proof do you have of the connection between oil and Al-Jazeera? They sell ads. Maybe they pay for themselves. How can you simply assume that connection without some access to financial information? And assuming the connection, so what? Gore was calling for climate change legislation, not for individual action. Consider the following principle: "I am not going to be more moral than I have to if you don't have to with me." I posit that most people live like that, and few people choose to live as saints. Although I just made the below comment on the recent oilprice.com article of Chu's departure from the DOE, it fits right in with the above hypocrisy. If the above commenter wants to worship a hypocrit, live a diminished standard of living while his "bhagwan"
lives the good life, that is his choice. but do not force your religion (nor the cost of supporting your "bhagwan" on me. The revolving door continues. Democrat or Republican, the corruption is rampant. They are all there to spend other people’s money for their personal benefit and that of their cohorts. (1) Fold up at a loss. Completely write off Current TV. Throw the effort in the trash. (2) Sell to Al Jazeera - Not ideal; but they not only are a terrific network, They do a great job with climate. (3) Sell to Glenn Beck - Probably for less than Al Jazeera would pay...Who knows; but Glenn's basically got his own gig now because his services were no longer required elsewhere. I wish there had been other options, too; but I think publicly trashing Gore non-stop for the sale is counterproductive. Nothing about CurrentTV is going to promote oil. I think there is a confusion here between policy and life choices. For example, I think that in the US the mortgage interest deduction and subsidization of mortgages through government backed securities is bad economic policy - yet I own a house with a mortgage and declare the deduction on my taxes - does that make me a hypocrite? Even if we do a counter-factual where some kind of carbon taxation in line with Gore's position had been in effect - Qatar would still have had plenty of oil money to do with whatever they wanted including buying the network. Mr. Gore has always been a hipocrite. Did the administration he was a part of push the Kyoto agreement? 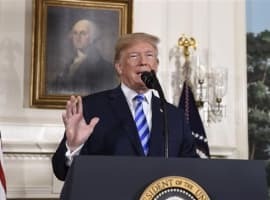 I distinctly remember when he was running for president he came out pushing for the Strategic Petroleum Reserve to be tapped to keep oil prices down for consumers. My question to the author. Now that Al Gore has become a hypocrat, are we to conclude that there is no climate change going on? That everything he so convincingly laid out was false? Even if sells out totally and declares that everything he said about the environment was a mere acid-trip, the global warming issue is still real for the world. Based on the barely legible comments about hypocrisy that veer off of the original, I'm not sure why I am even bothering to post this, but sometimes you have to point out the forest for the trees. Saying Al Gore profits from fossil fuels in this case is looking at this transaction in a very one sided and myopic view. Take the broad example of an oil major investing in a solar farm. Or a chemical manufacturer taking an interest in a renewable company (both of which have happened). In both of these examples the solar or renewable player profited from a fossil fuel company, so what, it's a good thing if you think we will eventually run out of oil, think fossil fuels pollute, or want to re-shore technology and business to the USA. Mr. Gore is selling a news outfit to a news station that is obviously interested in the style and content of Current TV. Whether or not Al-Jazeera was/is backed by Qatar is just an interesting side-note, instead of framing this as "Al Gore profits from fossil fuels" it could be written as "Fossil industry backed Al-Jazeera invests in enviro news outfit" Unfortunately it is apparent this piece (75% of which is a re-hash of old news) is just another attack in the old "science v. human ignorance" struggle. Herman Daly also criticizes greenwashing and generally tapping funds from business as usual, in order to fund environmental causes. I am glad you agree with his concept that these funds NEVER compensate for the dirty business that created the money. It makes sense, then, that you must support his ideas that we should embrace a reduction in our consumption habits, and in our population until both are at ZERO GROWTH. Anything less is biting the hand that feeds you, by compromising the earth's functions which make our lives possible. Who would be so malicious or unaware? My guess is that: according to the left leaning global warmers there's nothing but good things to say about Oil Gore and his self-serving BS...should you think otherwise, prepare to be burned at the stake. "For two decades Qatar has had the highest per-capita carbon dioxide emissions in the world, at 49.1 metric tons per person in 2008. This is about 60 per cent more than one of the next highest per-capita emitting country, which is Kuwait at 30.7 metric tons, more than the double of the emissions of people in the United States. Other sources state that by 2007, Qatar’s emission rate increased to 69 tons per person per year. Qatar had the highest per capita carbon dioxide emissions for the past 18 years. These emissions are largely due to high rates of energy use in Qatar. Major uses of energy in Qatar include air conditioning, natural gas processing, water desalination and electricity production." the above is from wikipedia....that ALONE is one huge reason not to sell to al jazeera. this goes against eveything al gore claims he stood for and has been jamming down our throats for years. he is a complete bullshitter and sellout. what does he care? he is not going to run for office anymore so he can make any sleazy immoral hypocritical business deal he wants to and so what if he gets criticized....he is very rich and doesn't have to give a crap...but we are all supposed to use those stupid curly lightbulbs that provide poor quality light and trigger seizures, to conserve energy. i was a huge gore believer and i feel dupped. he has absolutely no credibilty to me anymore and he has set back the whole energy conservation movement because people will equate his bshit with the entire movement and distrust it and be dismissive. "...and some pigs are more equal than others". George Orwell was inconveniently prescient. I wouldn't trust anyone who blatantly criticizes the fossil fuel industry, and then climbs aboard a big metal tube and is whisked quickly and comfortably across the sea propelled by.....fossil fuel. It's like the old bumper sticker, "Don't criticize farmers with your mouth full". Would like just one of the Global Warming dogmatists to prove to me that global warming, er, now climate change (since we're no longer warming) is caused by humans. Just one. There is no proof. We do not control weather, we do not control asteroids, we do not control the seas. God does. Want to protect everyone? Then pray. God can do so much more than any liberal knucklehead. If only people knew that it all started with John P. Holdren (White House Science Czar calling for weaponized food / water, sterilization and depopulation) and others in the 70's claiming that a new ice age was on its way. I think it is important that people look at every piece of information before openly speaking to the world as if they were right. Here are the facts regarding global warming from a purely geological standpoint. Earth is currently at in coldest average temperature and lowest average carbon count in history. Not just the 100,000 year history Al shows on his graphs. It is easy to make a graph look dramatic when you change the control group and inputs for your own benefit. Carbon in PPM in the late cambrian period were around 7000 PPM. We know this by measuring trapped atmosphere from the time trapped in ice caps and by measuring carbon and oxygen isotope ratios in the rock record. Today our carbon count is around 380 PPM. Interestingly, though, the rock record shows that Earth has experienced an ice age on more than one occasion where carbon counts were as high as 15 times current values. Obviously there is more to the global warming trends than the greenhouse theory. Solar flares, the variability in Earth's orbit and tilt relative to the sun have proven to change climate far more than carbon content. It is also scientific knowledge that the world's volcanic activity accounts for about 50% of global greenhouse emission. The rock record shows us that surface activity is at an all time low when compared to the small amount of discovered evidence pointed towards large amounts of volcanic activity in the past. In Al's lectures he shows a melting portion of the southern ice cap. What he does not show is that ice is building on the opposite side of that same pole. What would this suggest? A slight change in the Earths tilt that will have a huge impact on global averages regarding climate due to the massive shift in ecologies based on that same shift? Its no secret as to why global averages have changed. There is so much information available to the public related to this topic. Information that was researched and published by non-biased scientist that do not have any agenda other than the discovery of truth. They look at information as it is presented and not in a way that they interpret for personal gain. Information is not found on wikipedia or any green peace website that you people base your conclusions on. It is true that Al Gore is a hypocrite. We all are. Knocking him on a blog will do nothing for this world. He is a smart man that made massive profits based on the gullible and unintelligent population that worship him. More power to that man in my opinion. That is the reason that the rich are getting richer while the rest of you are left behind. If people take the time to do a true cross sectional research of a topic they will not be so easily confused. Why do you think that some of the most intelligent countries don't care about carbon emissions. They know that they are changing the climate so minutely that it does not matter. Educate yourselves somewhere other than internet blogs and online sources. Go to a library and read scientific journal and publications related to this issue and you will all discover the truth. Now it is important that you all know that I am all for renewable energy. Earth cannot sustain such a high population without it. I love my clean colorado countryside air and hate how polluted denver and the rest of the front range has become. I also know that our world is changing in a natural way that we are just beginning to understand, and that some of the changes will be difficult to adapt to. Their are far more pressing issues that we are faced with today than global climate change and Al Gore's hypocrisy. He already duped you all. Its over. Use all of this time you spend bashing people to make positive changes to our great nation. We live in the most corrupt and secretive group of government officials in a very long time. Corporate America is robbing this country blind and our population has allowed itself to be so distracted by these little invented issues that no one knows the difference. Humanity is such an amazing and powerful force on this Earth, but only when the majority educate themselves and stand up for truth. Words can be powerful, but they can also be deceitful. Actions speak for themselves. Al Gore's actions spoke louder than his words. Obviously. So how will our actions speak? The middle class holds one card that trumps the rest of the deck. We have numbers. That is all that matters. 90 trillion dollars? Do you think Gore's plan means hell give up his mansion in the countryside near Nashville and move to the high density city nearby? Didn't think so. Money is fungible. If you wanted to avoid selling anything to anyone who had profited from selling fossil fuels in the past it would be impossible to do any business, ever. Gore made an arms-length business deal. If he traded equal value for equal value, who cares? That would neither increase nor decrease the value of any fossil fuel company, nor would it increase or decrease his net worth. Unless you're arguing that he sold his company at an artificially inflated price to launder money from some oil company, in which case you'd be making a real accusation but would also be nuts. Please don't forget Al Gore's biography as found on Wikipedia, that highlights his lifetime of hypocrisy. In four years at Harvard, he studied government and took one science course from Roger Revelle. George Bush was better educated. At one time the "greenhouse effect" was a respectable hypothesis. Roger Revelle informed Al Gore of the "greenhouse effect" at Harvard but later when Revelle moved on to a better academy, he denounced greenhouse as fictitious science. Al Gore denounced Revelle as senile. But anyone employed as a University Professor cannot be senile. Under Eastern Religious Law, Gore would be doomed to rebirth as a lower animal. Al Gore was denounced by his high school science teachers. He was no good at science learning, but felt more comfortable inventing science fiction in the form of the CO2 greenhouse effect. All his political children are intellectually challenged.